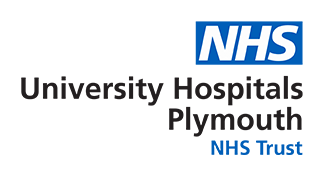 The radiographers at the Plymouth Oncology Centre are working on making the site-specific information booklets available on this website but for now please read the general information about what to expect from your radiotherapy treatment. You will still receive your relevant information booklets at your clinic appointment and when you come for your CT Planning Scan. There are short term general side effects of radiotherapy such as tiredness and skin reactions. However other side effects you may experience will vary depending on the type of treatment you are having and where on the body you are having it so please read the site-specific information for the relevent information for you. Please keep in mind that side effects vary from person to person, even those recieving the same treatment. The side effects you experience will develop throughout your treatment and will not happen straight away. There are ways to help you manage side effects so they are easier to cope with. If you need help and advice about dealing with any speak to your doctor or one of the radiotherapy staff. Most side effects last for about 10-15 days after your treatment finishes. Some people have side effects that last longer or develop some times after they have finished their treatment. These are called long-term or late effects. On finishing your treatment you will be given an aftercare card with a contact number for our liaison team should you have any queries or concerns regarding your side effects. Your oncologist will discuss any likely effects with you before your treatment starts.